Mt Hood, also known as Wy'east by the Multnomah tribe of Chinookan people that live in Oregon, is a volcano in the Cascade Volcanic Arc that also includes a dozen other volcanoes including Mount Rainier, Mount Baker, Mount Garibaldi, and Mount Adams. Located less than an hour away from Portland, Oregon, Mt Hood sits on the border between the two Oregon counties of Hood River and Clackamas. Mt Hood is the highest mountain and highest point in all of Oregon, as well as being one of the most prominent peaks in the United States. Despite being a volcano, Mt Hood is currently considered dormant and hasn't really shown any activity for the last two centuries. However, geological experts do still estimate that there's between a 3 and 7% chance of an eruption occurring over the next few decades. The Multnomah name for Mount Hood, Wy'east, comes from an old legend involving two sons of a great spirit that fell in love with a beautiful maiden and battled for her heart, destroying land and forests in the process. When he saw the damage done by his sons, the great spirit killed them, and the women they loved, and made three mountains, including Mount Hood, to honor the deaths of all three. Elevation is an important geographical term that refers to how high a location is in relation to sea level. The elevation of Mt Hood has actually changed quite a lot over the years as different surveys have taken place and the technology and methods used to determine the elevation of mountains and other high points have changed. The official elevation of Mt Hood is 11,249 feet (3,429 m), which was calculated by a United States National Geodetic Survey in 1991, using the NAVD 88 system. The first attempt to measure the elevation of Mt Hood took place back in 1854, with members of Thomas J. Dryer's expedition claiming that the mountain had an elevation of 18,361 feet (5,596 m), much higher than the current official measurement. Other 19th century climbers and explorers gave Mt Hood different elevations including 14,000 feet (4,300 m) and 17,600 feet (5,400 m), but the most accurate measurement of the 19th century came in 1867, when a Colonel Williamson deemed that Mt Hood had an elevation of 11,225 feet (3,421 m). For a long time, Mt Hood was believed to have the highest elevation of any point in North America, but this quickly changed when it was discovered that the mountain was nowhere near as high as first believed. The actual highest point in North America is Denali, which has an elevation of 20,310 feet (6,190 m) above sea level, making it almost twice as tall as Mt Hood. 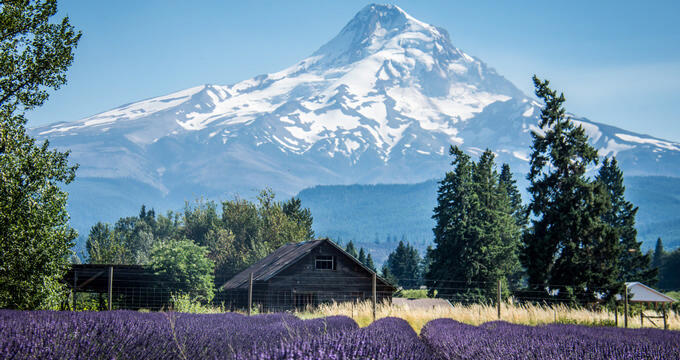 Hundreds of other mountains around the continent are taller than Mt Hood, but it is still the point of highest elevation in its native state of Oregon and, due to its high prominence, it can be seen from distances of up to 100 miles away. Since Mt Hood has the highest elevation of any point in Oregon, it represents a popular challenge to climbers and mountaineers. There are several routes to the top and the climb is relatively less technical than other major mountains around North America, but does still require skill and experience and can be very dangerous, with dozens fo people needing to be rescued each and every year. Around 10,000 people attempt to climb Mt Hood on an annual basis, but many have died along the way. Climbing Mt Hood is very popular, but it isn't the only way to enjoy this mountain, with various other options available for people who are less active or physically fit, or simply not interested in climbing all the way to the top. One clear example is the Timberline Trail. This is a very popular hiking trail that goes all the way around Mt Hood. At its highest point, the Mt Hood Timberline Trail has an elevation of 7,300 feet (2,200 m). It was constructed back in the 1930s and is one of Oregon's most popular outdoor recreation spots. It runs for over 40 miles and provides outstanding views of Mt Hood and the surrounding landscapes. Along with hiking, skiing is also popular in the Mt Hood area, with six different ski areas nearby. The nearby Mount Hood National Forest is also filled with beautiful hiking trails of all kinds, so there are plenty of ways to stay active around Oregon's highest point.